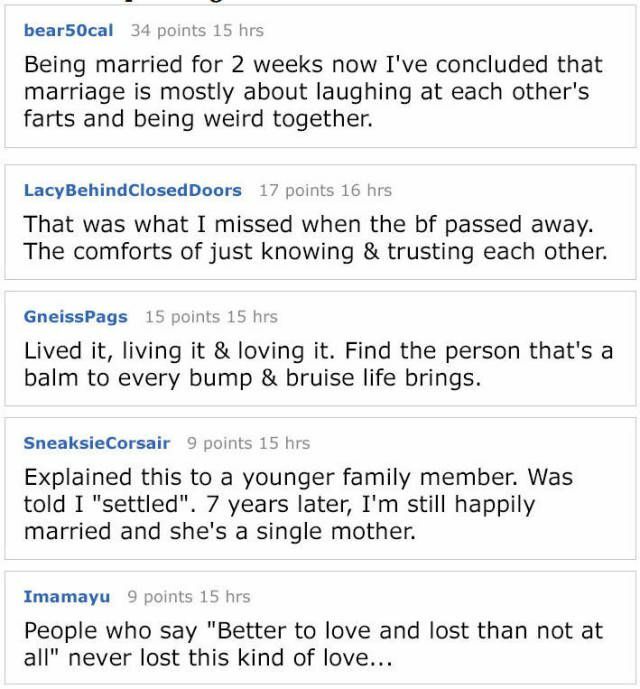 Long term relationships aren't perfect all the time, and these people know it. Successfully staying in a long term relationship means putting up with some one else's sh*t and compromising on a daily basis. It means knowing someone will disappoint you and choosing to stay with him or her. It looks like two people that care for each other but at the same time can not stand each other. 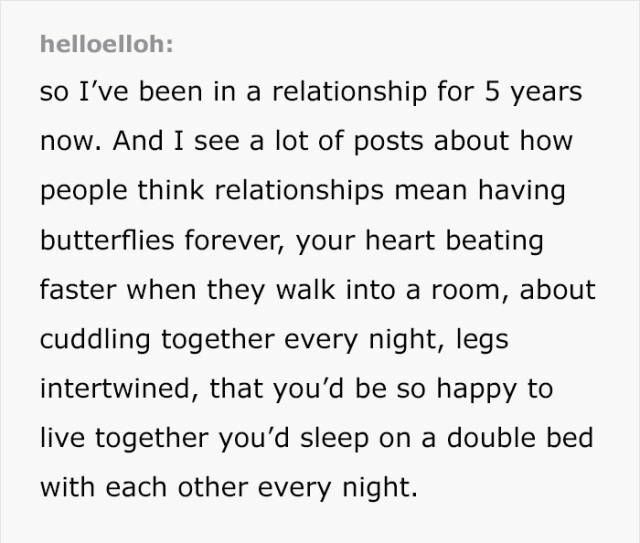 Long term relationships means knowing their original "cute quirks" will become the most annoying thing in the world! and not killing that person.